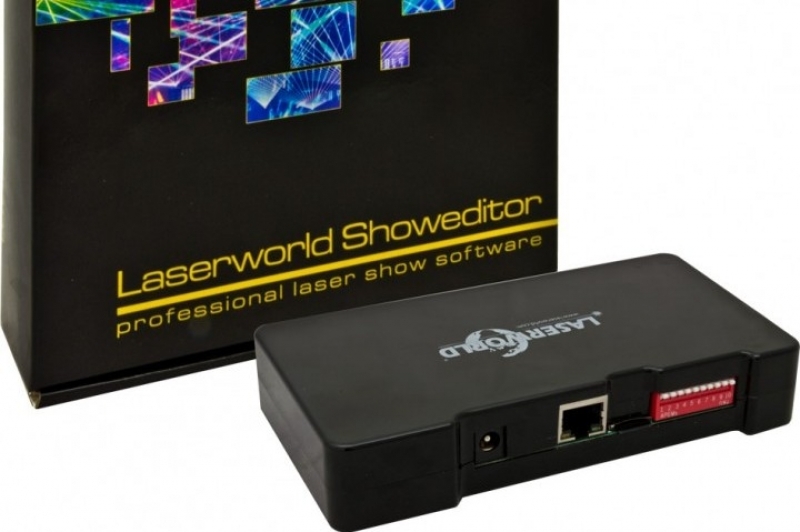 Laserworld Showeditor 2015, the all-in-one Laser Show control software, comes as standard with the Laserworld ShowNET LAN interface, and features a ready-to-go live laser show interface as well as professional timeline-show programming capabilities. The software is delivered with 100 free laser shows plus pre-configured MIDI profiles for easy software control – in live mode as well as for laser show programming. The import and export of files in the ILDA (*.ild) standard protocol is supported, so the figures created in Laserworld Showeditor can easily be shared between different Software and can be used for playback features: The ShowNET network interface, which comes standard with the Laserworld Showeditor 2015, reads micro-SD-cards, on which *.ild files can be stored. The files can then either be automatically played pack or individually triggered through DMX. Laserworld Showeditor supports both DMX input and output, so it can be remote controlled through DMX controllers or software, and it can control fixtures by itself – basic ones and intelligent lighting. The enhanced MIDI capabilities allow for the creation of own profiles and thus the software can also listen to SMPTE timecode signals, which makes it suitable for professional multimedia applications as well. The timeline supports audio and video playback, so even advanced multimedia shows can be created directly in Laserworld Showeditor 2015. 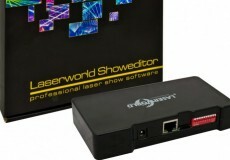 Laserworld Showeditor comes as complete package, including the software, the ShowNET LAN-to-ILDA interface, a short 0.4m ILDA cable, a short CAT-5 LAN cable and a small neoprene case to hold the ShowNET and even has two velcro straps to attach the case containing the ShowNET to the truss. Of course a power supply for the ShowNET is included as well. The software user interface is available in the languages English, German, French, Spanish, Italian, Dutch and Romanian. More languages to follow soon. 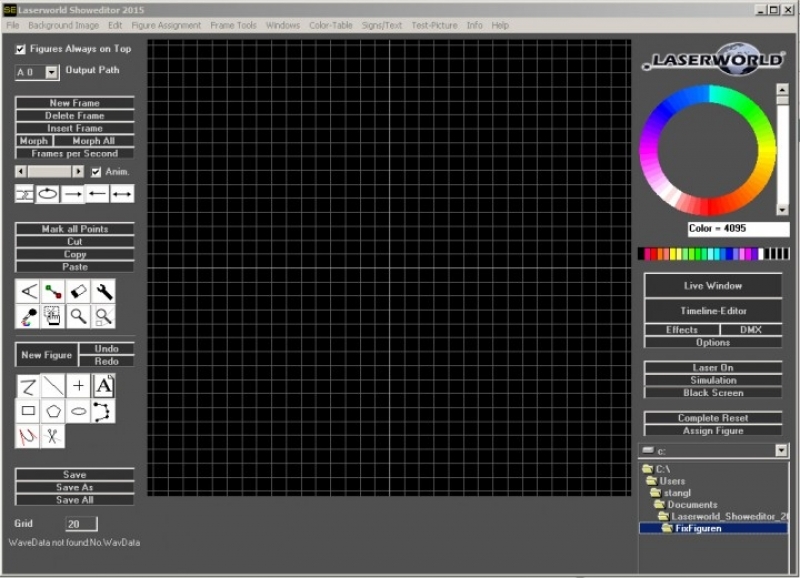 Users can upload their own laser shows to the file system to share them with the community.